Chichester District councillors have indicated their preference for a northern route to be promoted to the Government's next round of roads investment. Cabinet had recommended that councillors equally support a mitigated northern route and the full southern route as part of a bid to get a scheme included in the Government's second Road Investment Strategy (RIS2). But a motion was put forward at a special full council meeting on Friday 8 June to indicate a preference for a full mitigated northern route, with the full southern route to also be explored as a reasonable alternative. A recorded vote was made with councillors voting 22 to 17 in favour. Councillors also agreed to note the fall back position if Highways England does not select a scheme for inclusion in RIS2. Improvements to the A27 at Chichester would still need to be carried out. These improvements would be those needed to ease the impact of development arising from the district council's adopted Local Plan. 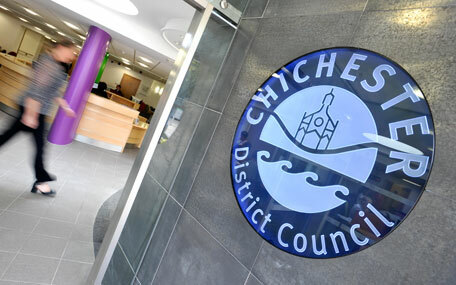 "We all want improvements carried out to the A27 - it is absolutely vital to the economic prosperity of not only Chichester itself, but the whole district," explains Councillor Tony Dignum, Leader of Chichester District Council. "Although our decision does not mean that the Government will definitely choose a Chichester scheme for the next investment window, we can now demonstrate to the Government a more consistent picture of what the community wants, which will hopefully stand us in a good position for getting a scheme included. "I would like to thank all those involved in the community work over the last few months for persevering and working together so we can find a way forward. We will continue to work with BABA27, West Sussex County Council, our MP Gillian Keegan, and Highways England over the next few months." Over the last year the BABA27 group has been working hard to find a solution, supported by Systra, West Sussex County Council and Chichester District Council. After analysing a long list of options, the mitigated northern route and full southern route were highlighted by Systra as meriting further feasibility work and consideration. The decision by Chichester District councillors does not mean that the scheme will definitely go ahead. Highways England has agreed to carry out an assessment of both engineering feasibility and likely cost for both concepts, which will be shared with the councils in the late autumn. If Chichester is successful in securing a place in Road Investment Strategy 2, then Highways England's next step would be to undertake detailed design work. It would then come back with a route or routes for a full public consultation, as in 2016.